60 projects complete with photos and instructions designed to keep hands busy and get boys out in nature. From fishing rods and butterfly nets, all of the projects use materials found around the house or yard. The clever, whimsical recycled creations in Fairy Crafts are inspired and easy to replicate. From delicate wings constructed out of wire hangers and nylon pantyhose, to a dainty handmade fairy garden, to gorgeous petal skirts made out of fabric scraps and ribbon, each project is designed to thrill for a long time. The kit includes glitter, glue, gemstones, ribbons, and more—the perfect sprinkling of fairy dust to turn everyday recyclables into favorite fairyland playthings. In Boy-Made, boys can get crafty too with projects they’ll love to use. From fishing rods and butterfly nets to rubber band balls and swords (safe ones), each of more than fifty projects uses materials found around the house or yard—with an emphasis on recycled goods. 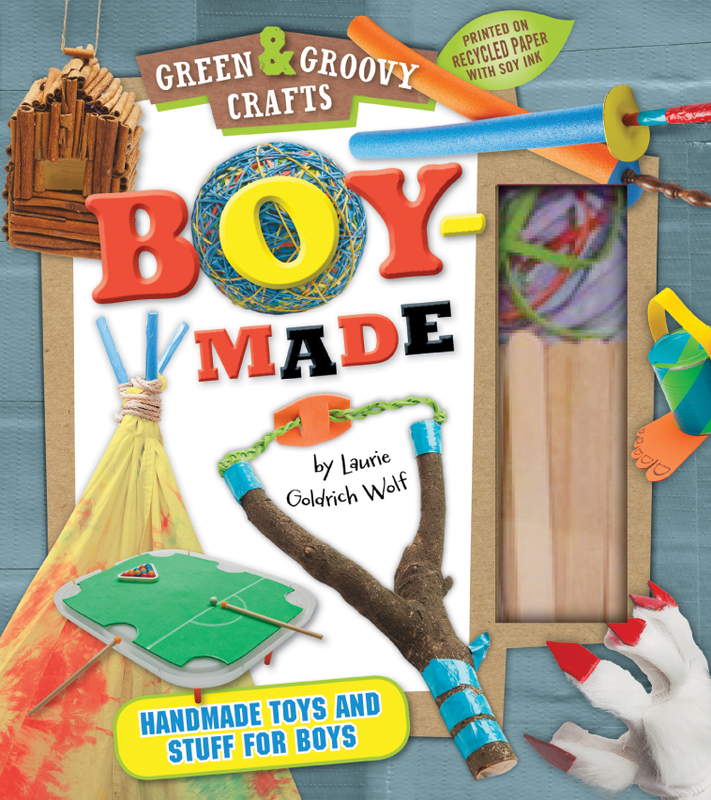 These cool creations will get boys out in nature, playing, exploring, building…and having good old-fashioned fun!